From birds of prey and baking to archery and alpacas, Beamish, The Living Museum of the North is recreating a traditional country show this week. 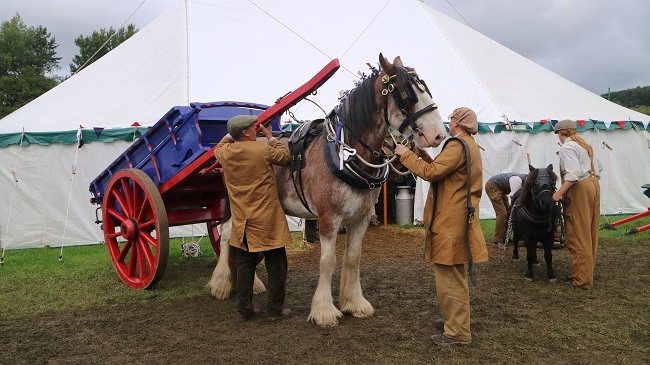 The four-day event, which takes place from Thursday, 13th to Sunday, 16th September, will have everything from livestock, including horses, ducks and geese, to traditional crafts, beekeeping, donkey rides and brass band concerts. 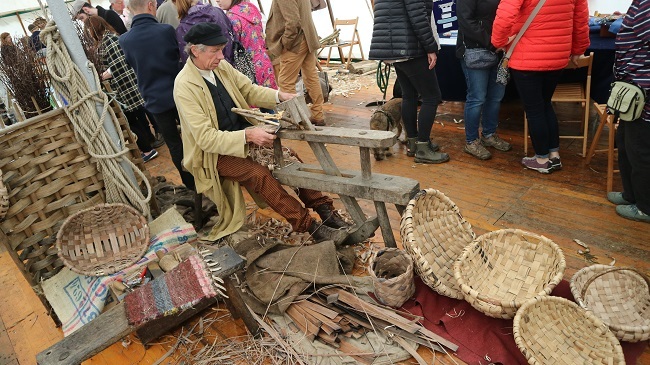 The main marquees will be a hive of activity with demonstrations of traditional crafts including woodworking, clog making, basket making, lace making and quilting. Competition in the industry section is sure to be tough as participants bring their finest crafts and produce – from photographs and hand-tied fishing flies to homemade lemonade, marmalade and their finest baking disaster – to compete for a coveted red rosette. With the owners’ permission, the baking, preserves and beverages will be auctioned off on Sunday, 16th September at 4.30pm, giving visitors the chance to take some tasty treats home with them. Visitors can watch the Gordon Highlanders’ military drill display and tshe thrilling horsemanship of the 16th Lancers Cavalry Unit. There will also be eagle and vulture displays, geese and duck herding, strong men demonstrations and Ferguson tractor talks. On Thursday and Friday, 13th and 14th September, local schools will be visiting the show, bringing along their horticultural, craft and artwork entries for a competition of their own. On Saturday, 15th September, there will be music from Darlington Community Wind Band (1pm-3pm) while Lanchester Brass Band will entertain visitors on Sunday, 16th September (1pm-3pm). There is no extra charge for the Agricultural Show, it’s included in admission to the museum and is free for Unlimited Pass holders and Friends of Beamish members. 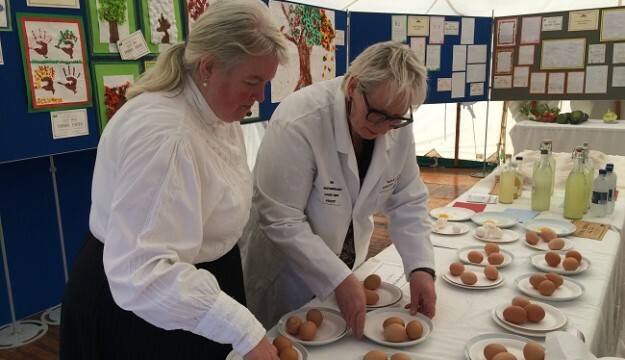 This is the third event in the museum’s Great North Festival of Agriculture, a month-long celebration of the region’s rural heritage. Still to come are Hands-on Heritage Skills (22nd and 23rd September) and Harvest Home and Harvest Festival (29th and 30th September). For more information visit www.beamish.org.uk/whats-on. Beamish, The Living Museum of the North, is the North East’s most popular museum, bringing history to life, with the unforgettable sights, sounds, and delicious tastes of the past at 1820s Pockerley, 1900s Town, 1900s Pit Village and 1940s Farm. 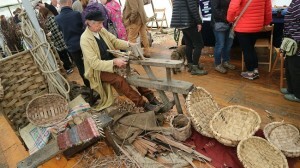 Visitors to the 350 acre open air museum discover fascinating stories, meet costumed folk and explore homes, shops and other buildings – many of which were moved to the museum from across the region. Beamish welcomed a record-breaking 764,675 visitors in 2017/18 and has seen visitor numbers more than double over the past eight years. The museum has about 460 staff and 500 volunteers. The museum was named Large Visitor Attraction of the Year at the North East England Tourism Awards in 2014, 2015, 2016 and 2017, and won the Tourism and Hospitality Award at the North East Business Awards 2018. Building work on the £18million Remaking Beamish project is underway, featuring a 1950s Town, including cinema, shops, houses and cafe, and a 1950s Farm. An expansion of the Georgian area includes the newly-opened Joe the Quilter’s cottage, and will also feature a coaching inn where visitors can stay overnight. Thanks to the money raised by National Lottery players, the project has been awarded £10.9million by the Heritage Lottery Fund (HLF). Beamish is the perfect place for group visits to North East England, with something for visitors of all ages and interests as they take a tram ride back in time and experience the sights, sounds, smells and delicious tastes of 1820s Pockerley, The 1900s Town, The 1900s Pit Village and The 1940s Farm (admission charge applies). Enjoy a true taste of Beamish with Dainty Bites, a light buffet lunch to include sandwiches, crisps, cake, and tea/coffee, served in a private room overlooking the award-winning Town (subject to availability and excluding school and Bank Holidays – Dainty Bites must be booked in advance). With free coach parking as well as free admission for coach drivers and group visit organisers (minimum 15+ paying visitors), a trip to Beamish is the perfect choice for groups.